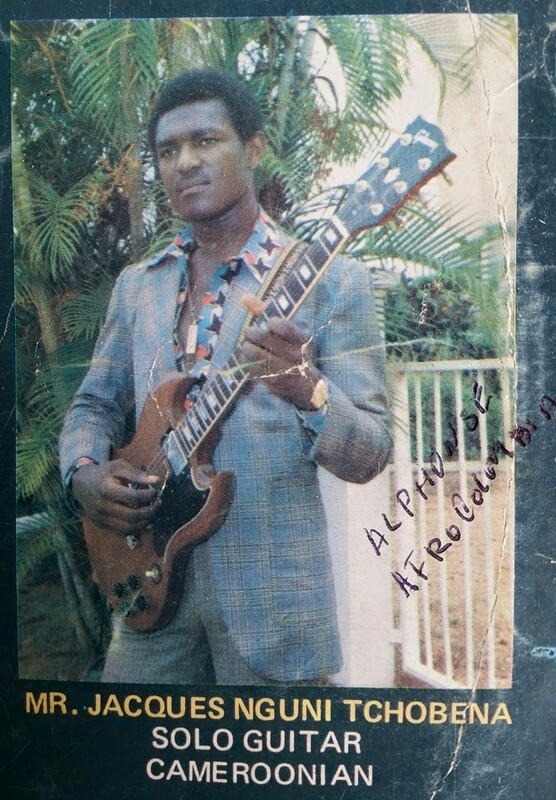 The world got to know him as the gifted lead guitarist responsible for the “singing guitar” in Prince Nico Mbarga’s hit song “Sweet Mother”. 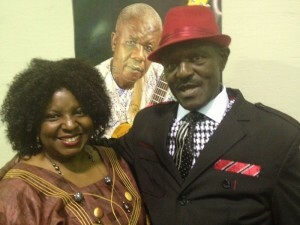 His name also entered the psyche of a generation when Prince Nico Mbarga presented him by name to the world in another hit song, “Home be Home”. Mr. Nguni was thrilled with my proposal and willing to work on his Bio. Unfortunately and unbeknownst to me, he was already battling leukemia at this time, so the project never took off. In fact in 2012 he went into a coma for several weeks. When he miraculously recovered, we resumed our discussions on the project hoping for when the dreaded disease will give him some space. As recently as a month before his death, we discussed the project again and he assured me it would come to pass. He spoke so energetically that I was sure he was going to overcome, but on April 25th Mr. Nguni lost his battle with Leukemia. Fortunately, he left quite a bit of himself on our earth. Some of this is captured in his writings. From his writings online anyone who knows a thing or two about written composition can tell that Jacob Nguni enjoyed the art of persuasion and argumentation. It was exciting to read his write ups and experience the way he navigated the rhetorical triangle of ethos, pathos and logos. It was even more exciting to notice how he wove in rhetorical devices to captivate his audience so he could persuade them effectively. He wrote quite effortlessly and may not have been aware that he was using rhetorical strategies that have been associated with great communicators like the celebrated abolitionist orator/writer, Frederick Douglass and Civil Rights icon, Martin Luther King Jr.
A look at some of Nguni’s writings show that he was the king of sound reasoning which the Greeks called “logos”. He seemed to be aware that his community did not grant him credibility on many topics because he was considered “just” a musician. As such he infused logic in his writing backed by facts, examples, statistics etc. However he also made sure he laced his sound argument with effective rhetorical devices that helped to enliven his arguments making them more appealing to readers. I’ll share a few examples which represent a very tiny fraction of what Jacob Nguni left behind on the many internet forums he belonged to. Example 1: Responding to the avalanche of write ups attacking Hon. Ayah Paul for taking up his appointment in the Supreme Court. “Some Cameroonians are just so phony to supercilious proportions. Many are now treating Mr. Paul Ayah as a traitor. My question is how is Paul Ayah a traitor? What act of betrayal by Paul Ayah can be used to label him as a traitor? This is a man who, as MP from Manyu, took the risk of resigning in protest from the ruling party, he is also one of those who voted “no” to the 2008 illegal constitution amended that gave Paul Biya an open-ended mandate. Hon. Paul Ayah later formed a political party known as PAP and lost his bid to reclaim his parliamentary seat through his party. He later contested the last presidential elections and lost. My question to all those who have found cheap adjectives to demean Mr. Paul Ayah with is: what did they do to support Paul Ayah when he was making all the above moves? You cannot call someone a traitor when you had no type of agreement with him. If you were not a member of his party, which I know a majority of you have never been; on what grounds are you calling him a traitor when you never invested one minute of your time on earth to support him in any way, shape or form? It is too simplistic to run our mouths now that he has been appointed an advocate general at the Supreme Court. If you did not lose or gain anything prior to his appointment, how come his appointment has suddenly become so important to you to the point of losing so much sleep over it? Seems as if Paul Ayah’s appointment has blocked the production of melatonin in most of you. Can we for once put our mouths where our money is? If not, this is nothing short of witch-hunting. When Paul Ayah took the risk of resigning from the CPDM while still a parliamentarian, the CPDM tried to extricate him from parliament but met resistance, not from any crowd that came out to protest against such illegal act but from Paul Ayah alone who used his law pedigree to lecture the CPDM the illegality of their intended action and succeeded. If you were quiet then, just shut it now. Do I make sense? When Paul Ayah formed his PAP and tried to use that platform to return as MP, he lost. Some may say the election was rigged but it doesn’t really matter whether it was rigged or he was defeated, Whichever way, if you did not support him by voting for him or did not stage a protest against the alleged rigging, why even open your mouth now? Again, do I make sense? Let me continue. Okay. Paul Ayah entered the last presidential race but not without the mean personal attacks he received from many of you calling for his head today. He was accused of going in for the money and all what not. Despite all that, all I know for a fact is that he got no votes or support of any kind from you all who now consider him as a traitor. Traitor how and for what exactly? …I am not a politician and right now, I am not a card carrying member of any political entity in Cameroon. I am one of those who practically have nothing to do with Paul Ayah. I do not give a hoot whether he accepts or rejects his new appointment. But I know that tons of you out there who are now trying to feed on Paul Ayah’s blood never had any use for him prior to his Supreme Court appointment. So, to arrogate to yourselves the position of unsolicited Paul Ayah adviser at this time is simply being intellectually dishonest. And it is not surprising that he ends with imagining his readers asking him their own rhetorical question which of course he invalidates by saying no question will trump his argument. Vintage Nguni!! IP address ONLY. THIS IS A FACT. can provide you with that information. THIS IS A FACT ALSO. networking experts first before coming again to explain the whys and why nots. However over time everyone on CAMNET came to respect Jacob Nguni as an expert when it came to IP addresses and outing ghost writers. He earned the credibility with sound logic and the presentation of undisputed facts. Example 3: Jacob Nguni’s reaction to this statement: “UN envoy says Ouattara is the winner” after the 2010 elections in Ivory Coast. Here the virtuoso guitarist makes use of ANAPHORA. Anaphora is the deliberate repetition of a word or phrase at the beginning of successive clauses. By repeating “They tried” Nguni not only underlines the focus of that paragraph, but conjures up the distance he wants to create between the French” and the “colonies” they claim to be helping. Anaphora also gives the paragraph rhythm which makes it pleasurable to read and positively connects the reader to the text. Mr. Nguni may not have been aware that in repeating that opening phrase he was using a specific rhetoric device known as anaphora, but that is precisely the point. He was such a gifted communicator that rhetorical strategies came easily to him. Another highlight of Mr. Nguni’s writing was the way he used humor effectively to gain pathos. In the piece below culled from his facebook page he presents a valid reason why he does not accept friendship from people whom he cannot physically identify but he drives the point home with humor. Example 3: Jacob Nguni reacting to those who send him facebook friend requests but do not have a profile picture identifying them. No one would read this without laughing especially Cameroonians who understand the pidgin proverb embedded in the appeal but the essence of his post is not lost. The humor effectively makes his reasoning clear without allowing it to be drowned in laughter. Notice the proverb is framed using one of his frequently used rhetoric devices, erotesis. He also used humor to poke fun at friends and foes alike when they got on his other side. There are plenty of examples in this category but I would present this short one. Example 4: Poking Fun at Mishe Fon for Being an IT Novice. … And please, do not talk about Mishe Fon when it comes to things like this. Mishe Fon does not even know how to listen to his phone messages and you want him to do what on Facebook? Do you want him to damage his Vista loaded computer? Mishe Fon knows only how to sign on to Camnet, read and respond to mails. Gabadaya. Shikena. “…Everyone knows that I am an ex student of Sasse College, Buea but these nitwits would want to paint me otherwise just because they were raised in a society that does not patronize talent that much. They came in thinking they were dealing with one of those musicians they used to see in one of their quartier bars in Cameroon only to be shocked that they were dealing not only with an uncommon music star (lead guitarist) but also with a literary giant whose write-ups, be they talking points, memos or deep stimulating analyses, have been acclaimed and continue to be acclaimed both at home and in the Cameroon Diaspora. Mr. Jacob Nguni certainly stood his ground with his pen/keyboard. I am one of those in the Cameroon Diaspora who took notice. No topic was beyond him. No argument was beneath him. He enjoyed a good word fight and won quite a good number of them. No doubt his online nickname was, “Microwave” because of his effectiveness. As a professor of English composition and literature, I could not help but notice the rhetorical devices he employed so effortlessly. I hope those who did not get to read him may get a little bit of his writing prowess from this write up. Grand J, you will be missed sorely. Adieu!! *Thanks to Mishe Fon for sharing Jacob Nguni’s writings from his Camnet archives. Thanks too to Alphonse Afrocolombia Duran for the picture of Jacob Nguni from the “Family Movement” Album. Mr. Duran is a fan from the North Coast of Colombia.